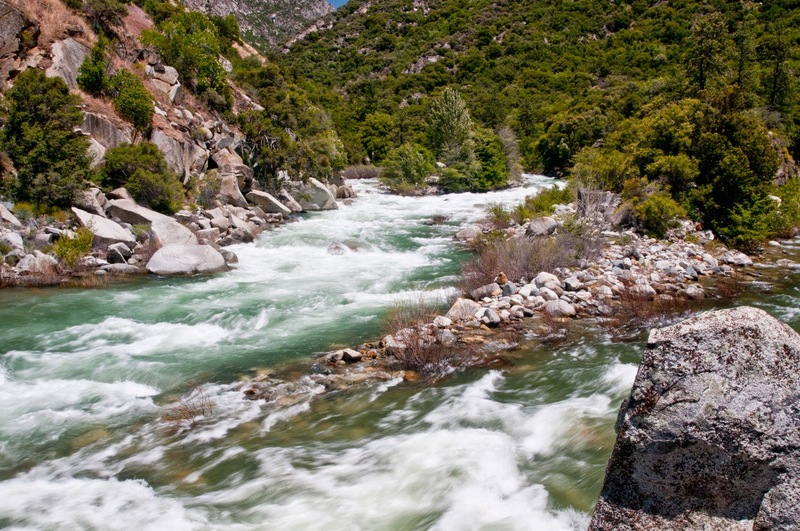 While working the desk at the Kings Canyon visitor center a few years back John Satnat once told me that if I wanted to get to the Tehipite Valley in the parks' back country, then I should just walk up the middle fork of the Kings River. He said that there was no need to go the long route, simple, he made it sound. Easier said than done of course, especially during those seemingly distant, yet not so long ago, times of ample precipitation. The year we spoke about such a trek in 2010 and the year after, the river looked like it does above, flowing with force deep into the summer and even autumn. In those conditions it would be almost impossible to forge any part of that river, especially in the mid elevations where all of the high mountain drainages are focusing their gravity powered flows into the few major forks of that fine river. Maybe this is the year. With the ongoing drought it may be time to look for the advantages it brings, such as rare and limited access to a mountain gem. Top: Middle fork of the Kings joining the south fork. 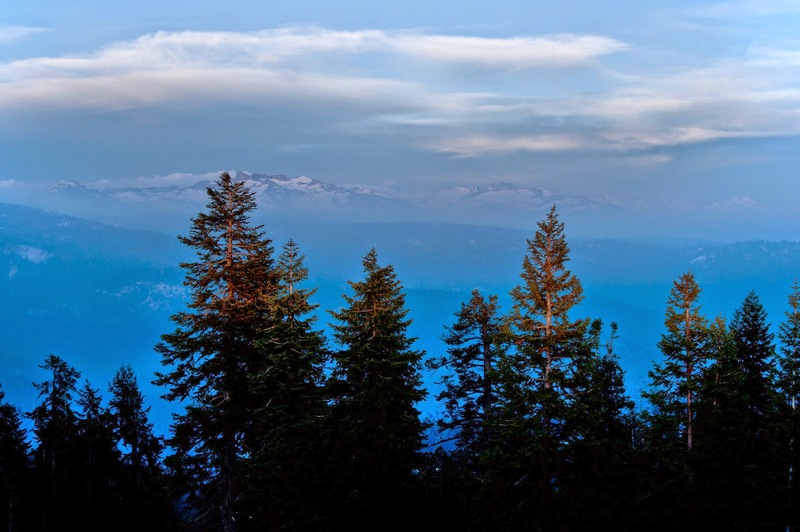 Mid: Sierra trees and peaks from Big Baldy. 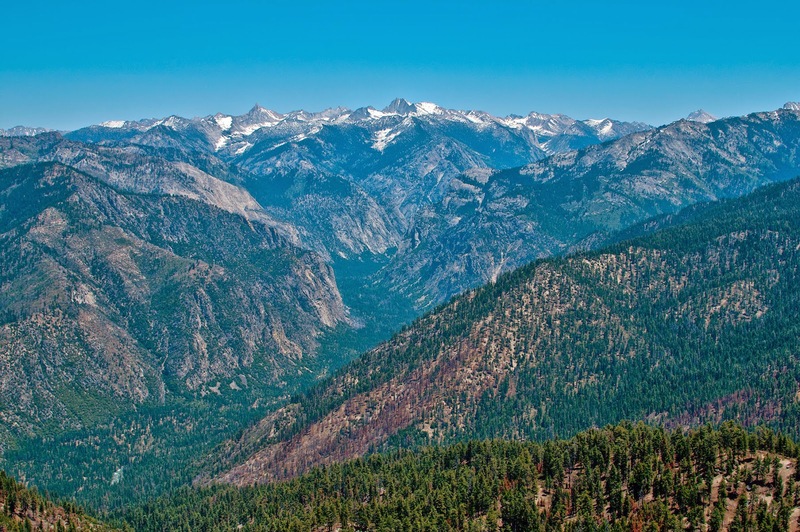 Bot: Kings Canyon overlook view.